In his Spring Statement the chancellor reported higher tax receipts and lower interest rates on government debt. Official forecasts allow him to use an additional £30bn on our behalf. Good news for the public finances and promised end to austerity. 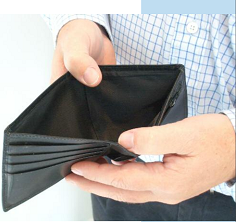 But not for those on the lowest incomes. Disappointingly, neither proposal was accepted. It’s possible to assess the existing and likely impact on clients in different ways. There may be more debt or risk of eviction. 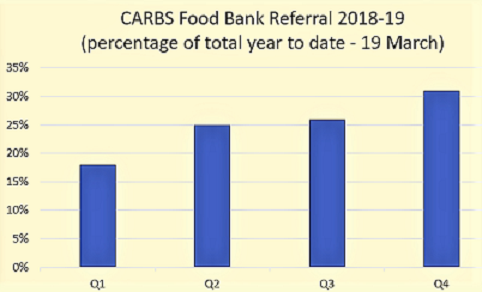 In the current year CARBS clients’ need for referral to a food bank has been rising as our chart shows. Also the number of people claiming universal credit is increasing and this will continue during 2019.